…Here are your Hartford Whalers! 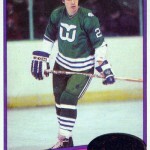 Below are various Whalers-related audio clips. All clips were provided by Craig Hansen with the exception of Whaler Jingle Bells, which was generously provided by Bob Joyce. Thanks for the fight download..Lost my orignal cassette awhile ago..Can’t wait for the extended LP version!